They Seek To Find The Happiness They Seem is an exploration of the separation and disconnection that can occur within a relationship. It uses reconfigured snippets of imagery from popular culture that connect with us all on a subconscious level. "They Seek To Find The Happiness They Seem is a special work for Joe and I that took form effortlessly and mysteriously. At the time, I was fascinated by the impenetrable inner world between couples and of individuals. 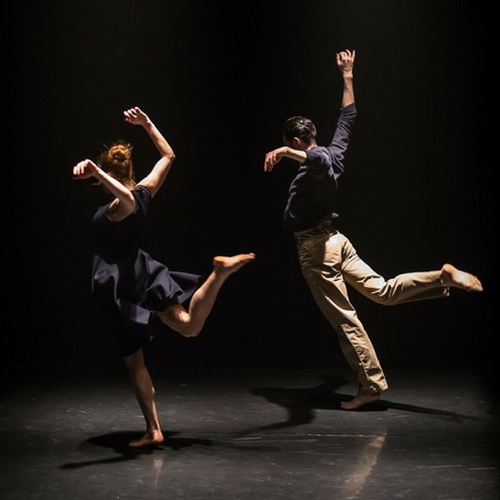 Built from a jigsaw puzzle of reconfigured snippets from classic love stories and famous dance partnerships it focusses on the theme of dislocation and separation within a relationship. The source material was specifically chosen from popular culture, material that forms part of our collective consciousness but that we may carry unknowingly, so that an interplay between recognition and memory further informs the experience of dislocation and separation." Music: Lines On A Page by One Hundred Violins; The Four Seasons: Spring 2 by Vivaldi (recomposed by Max Richter); The Four Seasons: Winter 3 by Vivaldi (recomposed by Max Richter); The Four Seasons: Summer 2 by Vivaldi (recomposed by Max Richter).